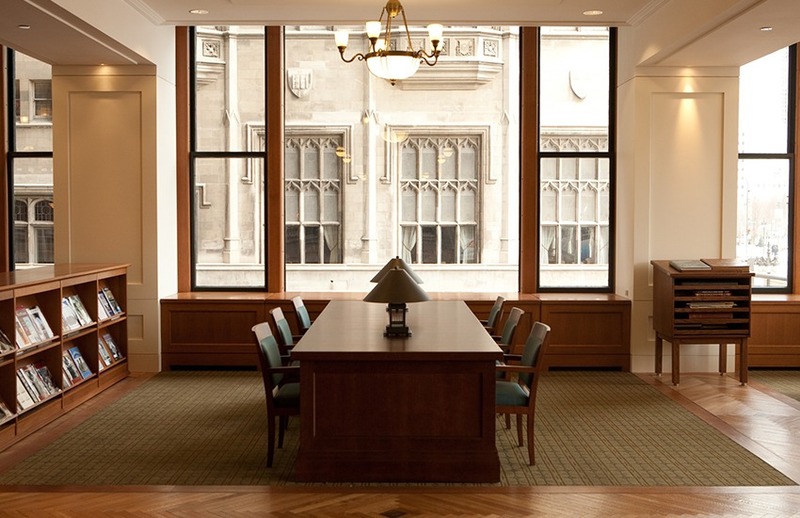 The Pritzker Military Library provides the ideal atmosphere for first-class special events, including corporate meetings, receptions, and private parties. Whether your next event is an intimate daytime affair or elegant evening dinner, the Pritzker Military Library is the venue of choice. With magnificent views over Michigan Avenue and Millennium Park, the Pritzker Military Library offers a unique blend of historic ambiance and state-of-the-art technology across three newly-renovated floors of warm, inviting space. Galleries include attractive displays of vintage military posters and paintings, along with breathtaking artifacts such as a hand-sewn 1898 American flag and an authentic Medal of Honor from World War II. Located in the heart of Chicago’s Loop, with convenient parking and public transportation, the Pritzker Military Library will make your next special event one to remember.